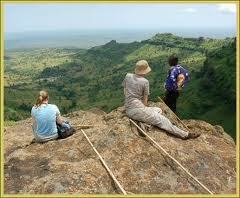 4 Days Rwanda Gorilla and Bisoke Hike. Arrive at the airport to meet our company representatives who will transfer you to Volcanoes National Park. The drive will take 3 hours and you will arrive in the afternoon. Overnight at your lodge. In the morning right after breakfast, you will drive to transfer to the park headquarters for briefing and then later drive to the starting point to start the trek and search for the Gorillas. On meeting the gorillas you will be allowed to spend 1 hour following and taking photos. Later return to the starting point. Report at the park headquarters for briefing and then through the forest, you will hike Mt Bisoke. Mt. Bisoke is one of the Virunga Volcanoes. The Virunga Volcanoes are made of 8 volcanoes and some of them include Mount Karisimbi, Gahinga, Sabyinyo, and Muhabura. Hike Bisoke which is rather a sheer climb. Once you get on top, the biggest crater lake of the Virunga chain can be seen unless there is too much fog. Hike back down and return to the starting point. Overnight at your previous lodge. Have breakfast and then at 8 am depart Volcanoes National Park to transfer to Kigali. Visit the genocide memorial and national museum before you transfer to the airport for your onward flight. 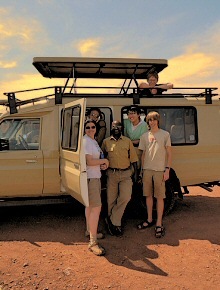 For more information about this safari click the Inquire button below.